Rated 5 out of 5 by Chris111 from Love everything about it! 2017 wraps my second,season with my SDX. Took everything I threw at it. Cuts great, rides great. Good solid entry level commercial zero turn. Even cuts wet grass no problem. I like everything about this unit. Likely by Hustler in the future! Rated 4 out of 5 by VietVet from Better and more flexible than any other machine We are a farm with about 2-1/2 acres of grass/trees/gardens around the house. This machine is superior to all others investigated. 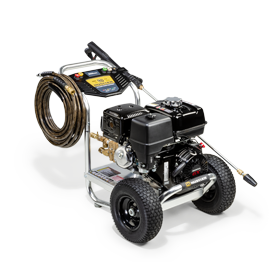 The roll bar supports an add-on 20 gallon spray tank for weeds. The hydraulic seat saves my back. The flex forks makes the ride much more gentile and the thing always starts. The only drawback, it requires constant maintenance and that is very expensive! 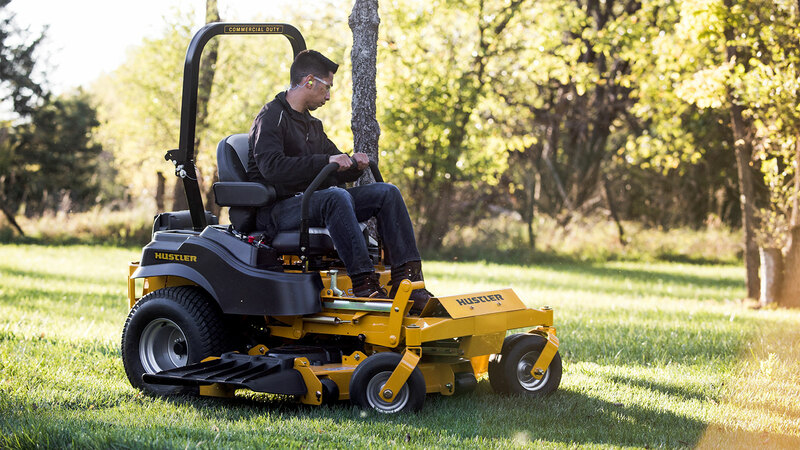 Rated 5 out of 5 by Bill from Best mowers on the market If you want a mower that will last and perform time and time again. Then buy a Hustler mower. Best mowers on the grass. I’ve Worked at airports and around large city mowing operations for the last 20 plus years. They will always have Hustler mowers in the arsenal. Buy one you won’t be disappointed. Rated 5 out of 5 by Timboaction from An Awesome Machine!! I bought this machine last year at Kansas Golf and Turf. The salesman was extremely knowledgeable. This Fastrak SDX is a tank! It rides really well and I can mow about 6-1/2 acres with 50 trees in about an hour and forty five minutes. I recommend everyone about his machine. Rated 5 out of 5 by Lumpy77 from A very good commercial mower Bought this six months ago and it I could not be happier. 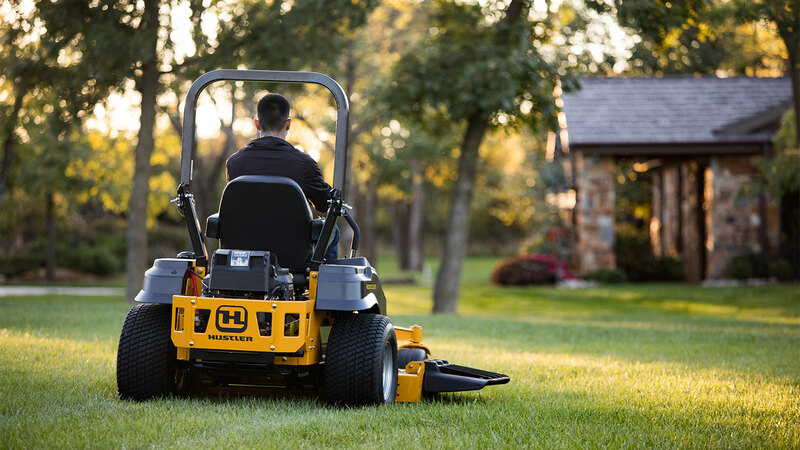 A great commercial mower. It handles better than any zero turn I have ever used. Produces a manicured cut every time. It loads on and off the trailer very easily. Rated 5 out of 5 by J.D. from Strong Mower Bought a FasTrak SDX 54" Deck about 4 - 5 weeks ago and Very Happy with it so far. 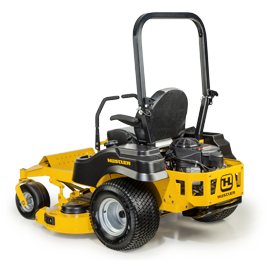 Lot of Power is this mower and you can cover a lot of ground fast. I would recommend to anyone considering a Great Value !! Rated 5 out of 5 by squeezebox from Fast and Efficient This was one of the best purchases I made in 2017. The speed and efficiency of the mower is excellent. I purchased the better seat and it a very comfortable ride when I am mowing my 4 acres! Great mower. Rated 1 out of 5 by Jake from Third clutch in a year My mower is on its third clutch in a year. They do not stand behind there product. Asked for help with the price of the clutch. They blew me off. Never again. Rated 5 out of 5 by Dturp91 from Awesome mower Did alot of research on many different brands. Bought the fasttrak SDX and I couldn't be happier. Would recommend it to anyone. Rated 5 out of 5 by HappyKDOT manager from meets our needs as a state agnecy. The KDOT loves there Kansas made FasTrak ! We use it to mow at round abouts and other intersections and also our facilties. Rated 5 out of 5 by Let’s go from Great lawnmower! My wife loves mowing with this mower! Gets the mowing done in a fraction of the time it took with our previous mower.